20 Years from Now Will Iraq's Nineveh or Syria's Palmyra Also Be Holiday Destinations? Lonely Planet, the world's largest publisher of guidebooks, has just ranked the planet's 500 must see destinations, in what it is calling "the definitive bucket list for every type of traveller." Coming in at number 1? Not Giza's pyramids, or Rome's Colosseum, or Peru's Machu Picchu — or even more modern destinations like New York City — but Cambodia's Temples of Angkor. That Cambodia's ancient capital was, in Lonely Planet's own words, the "undisputed champion" of "the ultimate travel list" did not surprise those of us who already know and love the Southeast Asian kingdom. Its crowning achievement — the 12th century temple of Angkor Wat — still rivals the Egyptian pyramids in scale and the Sistine Chapel in detail. And Angkor Wat is just one of the many such monuments awaiting that await visitors within the 400 square kilometers that make up the current UNESCO World Heritage Site. 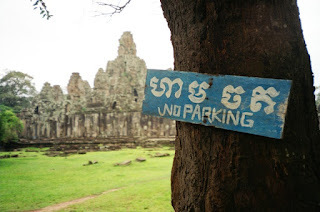 "secret" that is Angkor is definitely out. This news was rightfully celebrated in the kingdom, although it has also led to many an archaeologist suffering nightmares of an eventual "Angkor Disney." The site may have survived centuries of abandonment and war, but can it survive its own popularity? Despite the best efforts of the Cambodian government, and teams of conservators from around the world, the never ending stream of visitors is visibly wearing away at the temples. Tour buses scrape (literally) past ancient gates, pounding feet polish stairs into dust, and the occasional vandal even carves initials into bas reliefs. The infrastructure of Siem Reap, a once sleepy town that now serves as the gateway to Angkor, is also suffering from the strain as its roads fill with traffic and its water table drops precipitously. The potential costs of tourism are obviously high, but so too are the hoped for benefits, especially in a developing country like Cambodia. Still there are valid questions about how much the Khmer people have actually benefited from tourism thus far. Despite the millions of visitors to Angkor, and millions of dollars accompanying them, Siem Reap remains among the poorest provinces in a poor country. Some economists estimate that as few as $7 of every $100 tourist dollars stay in the pockets of the local people — with the rest going to foreign hotel, restaurant, and tour owners. With the Lonely Planet ranking, the need for responsible and sustainable tourism is now greater than ever, for both Angkor and the people who live in its shadow. Cambodia's temples have (for better or worse) become an economic resource, and just like any other economic resource, they must be properly conserved or they will be exhausted. Angkor may have topped Lonely Planet's list this year, but it won't stay there if the site becomes more theme park than ancient wonder. 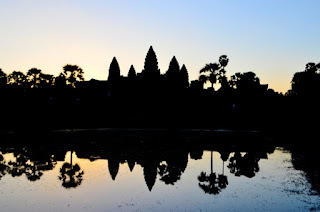 Despite the possible risks that come with Angkor's newfound popularity, Cambodia is to be greatly and sincerely congratulated for this recognition, which would have been unthinkable just decades ago. While Iraq and Syria are the global hotspots today, from the 1970s and onward, it was Indochina and indeed Cambodia. The country's bloody civil war erupted in 1970, and would not end until 1998, when the Khmer Rouge finally surrendered. During this period of genocide and destruction, an estimated 3 million people died in the "Killing Fields, millions more left as refugees, and the country's many temples (included Angkor itself) were plundered on a scale rarely before seen in history." In 1970 — even in 1998 — one could no more imagine Angkor topping a list of vacation destinations than we can Palmyra today. And that is why, as someone who has dedicated much of my life to helping preserve Cambodia's heritage, Lonely's Planet's title is more than just a title. With the terrible news coming out of the Middle East — most recently the murder of archaeologist Khaled Asaad and reported destruction of Baal Shamin — it is also a cause for hope. For like the so-called "Islamic State" of Iraq and Syria, the Khmer Rouge also marked scholars for death, razed sacred places of worship, and plundered antiquities by the truckload. But they did not win. Cambodia, with its rich culture and history battered but unbroken, was able to survive one of the worst conflicts of the twentieth century and come back stronger than ever. I hope that within my lifetime, we can say the same about Iraq and Syria. Trekking in Nepal is still the most favorite adventure holiday activity in the country. The two classic trekking routes either to Everest base camp or the Annapurna circuit are not easy and the challenge you'll face on either route will have a lasting effect. The Manaslu route trek around the world's eighth largest mountain is more remote but no less beautiful passing through stunning bamboo forests, villages filled with prayer flags and culminating with spectacular views from Larkya La. Mustang is an easier cultural trek, suitable for those with good general fitness but not necessarily any previous trekking experience. The language, culture and tradition of the Mustang region are still mostly Tibetan making this one of the most culturally interesting treks. There are shorter treks up the Langtang Valley and Helambu which are still hard work but also deeply rewarding. They generally begin in Kathmandu, leading through large grazing areas covered in flowers, dotted with stone huts used for butter making, Sherpa, Tamang villages and the homes of yak herders, right up to the Tibetan border.